There is something to be said about an album where instrumentation, lyricism and vocals bond together flawlessly. All of these characteristics come together seamlessly on the new album by Slakah the Beatchild’s alter ego – The Slakadeliqs. Listening to The Other Side of Tomorrow is like taking a trip in a warp zone back to the sixties, with a modernized twist. Whaling guitars, drum kicks and snares aggressively tugging at your inner hippie, with an unmistakable funk. It’s an album with 14 tracks, each with its own different mood swing. From uptempo to melancholy, it is all packaged in a tightly produced set that is unquestionably worthy of your iTunes playlist. The selection of fellow artists who guest on the album are phenomenal: Tingsek, Ebrahim, King Reign, Shad, Sandie Black, Justin Nozuka and Tanika Charles. Each artist displays their own musical prowess on each track while staying within the boundaries of the sound carried through. “Dear Lucy” had to have been born from a Beatles track (along with a few other tracks as well). The vocal echos and strumming guitar coupled with an undeniably catchy chorus are absolutely superb together. Justin Nozuka’s whisper is inviting and silky, even when the drum beat kicks in on “Love Controls The Sun.” The slight guitar rift of Al Green’s “Simply Beautiful” can be heard in the beautiful intro of “Dream On,” another psychedelic trip, brewed with 2 heaping teaspoons of Lenny Kravitz-isms. Dope. The definite stand-out on the album would have to be the incomparable “Perfect Summer Night” featuring Tingsek. Blazing brass, a simple reggae pulse, and Tingsek’s vocals equal pure…well, perfection. The album is simply glorious from beginning to end, never missing a beat. As Slakah stated in the above intro, “experimenting and exploring” certainly took place here and it’s quite refreshing. The Bob Marley, B-52’s and Beatles influences are unquestionably saluted and you truly can’t be mad at that. This is notably, one of the best albums out for the beginning of 2012 thus far, over here on Soulafrodisiac. The Other Side of Tomorrow was released on January 17th, 2012. 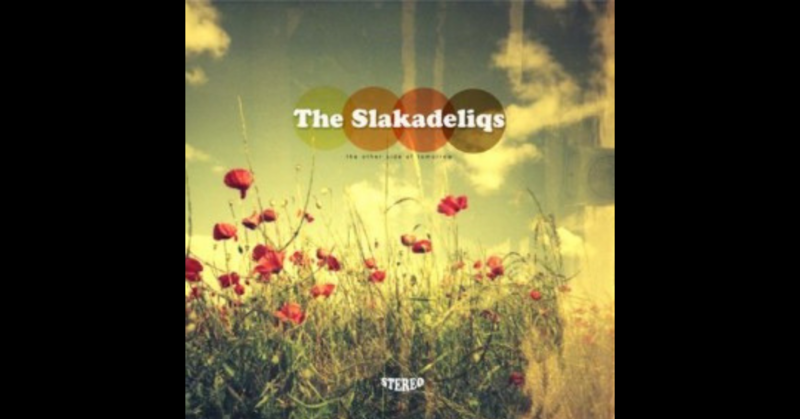 Over on The Slakadeliqs Bandcamp page, you can find the album for free or by donation. However, this gem will not be free for long (60 days from the release date, to be exact). Either way, this is an album that should not be missed in your daily rotations.